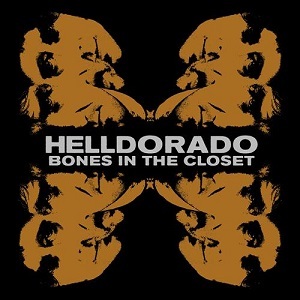 Helldorado was formed in the spring of 2001 in Stavanger, Norway. Most of the members had been playing in local band The Tramps for several years, and had considerable live and studio experience with that band. They where looking for a much darker and broader musical landscape than they could find in The Tramps, and got together playing punked up surf covers with their new band Helldorado. So in short what we have here is Mexican surf rock from Norway! It sounds like a bizarre combination, but the results are amazingly good - check out the video below to see what I mean. The trumpets add much of the Mexican feel to the album, and the guitars and drums give the rock base. With songs with lyrics about hired killers (John McMiller) and other subjects you wouldn't expect the album to have such a fun feel, but there's just something really catchy about the music that gives it a fun feel. This is a great album - it's got a sound that stands out from most of the rock music around at the moment and is great fun to listen to. There's only one problem with this album - it's perfect for blasting out of a car stereo as you drive with the roof down in the sunshine - which isn't something we get to enjoy here very often. Luckily it sounds great blasting out of the hi-fi at home too, so it's not just suitable for the week of summer we get each year. 12. Sixty seconds to what?